In mid-September, the Congressional Budget Office (CBO) estimated that the cost of H.R. 2810, a permanent Sustainable Growth Rate (SGR) repeal or “doc fix,” would be $175.5 billion from 2014 through 2023, up from the CBO’s estimates of $139.1 billion in May and $138 billion in February for freezing (i.e., holding flat) all Medicare physician rates for 10 years. H.R. 2810 would be more costly, as it does not freeze rates, it raises them slightly. As with all other SGR reform bills, its implementation would avoid an estimated 24.4 percent reduction to Medicare physician payment rates that is scheduled to take effect Jan. 1, 2014, but the bill would also increase payment rates by 0.5 percent per year during 2014-2018. That change would increase federal spending by $63.5 billion through 2018, relative to the spending projection under the SGR. In addition, starting in 2019, H.R. 2810 determines Medicare payment rates for physician services either based on a physician’s performance in the Quality Update Incentive Program (QUIP) or physicians could be paid for some or all of their Medicare services under one of several Alternative Payment Models (APMs), which are yet to be determined. The APMs will almost certainly include accountable care organizations. With some assumptions about physician participation in QUIP versus APM, the CBO projected that these two mechanisms will boost federal expenditures by about $112 billion versus the SGR for 2019-2023. Unfortunately, just like every SGR reform proposal introduced during the past few years, H.R. 2810 does not specify a legitimate source of funding to cover the increased government spending that would result. Given the continuing dysfunctional, toxic political environment in Washington, D.C.—with exhibit A the current legislative impasse over the debt ceiling resulting in a federal government shutdown—it is highly unlikely that lawmakers will reach agreement on a standalone SGR bill, but some people think it could be included as part of a more comprehensive deficit-reduction piece of legislation. But don’t count on it. Kicking the can down the road for another year is a tough habit to break. 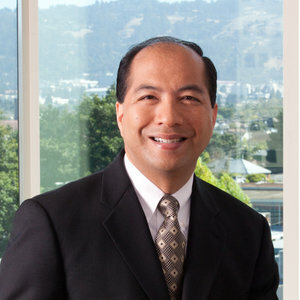 Ken Perez is the author of The Sustainable Growth Rate: The Elephant in the Room of Deficit Reduction and a healthcare IT and policy consultant in Menlo Park, Calif.